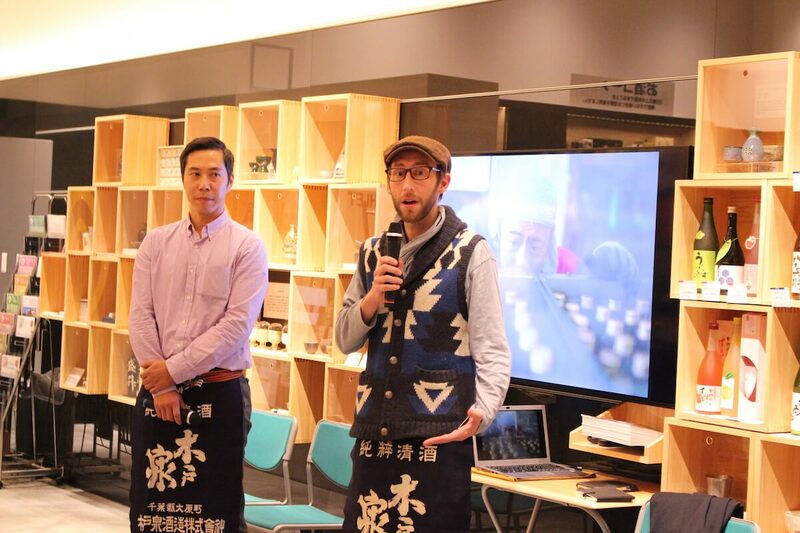 In December, the SAKETIMES team was invited to check out a new series of English language "meet the brewer" events being held in Tokyo that are trying to shed some light onto the often unseen side of sake production. 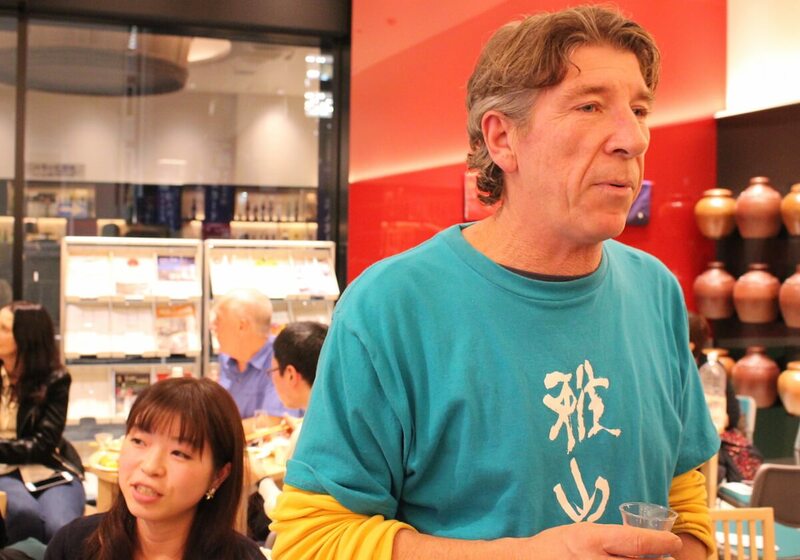 Meet the brewer sake events. A great way to discover sake but sadly, seldom held in English. 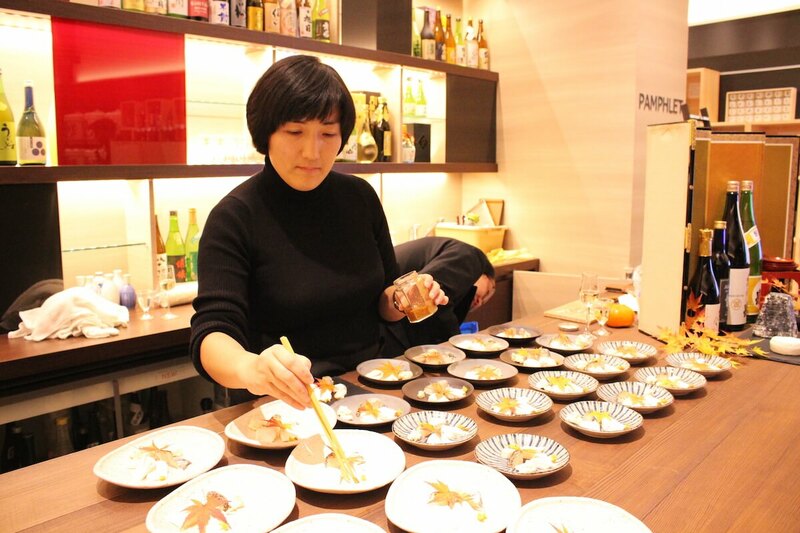 In December last year, that all changed with the launch of Sake Salon, a new series of similarly styled events, located in an easy to access part of Tokyo. 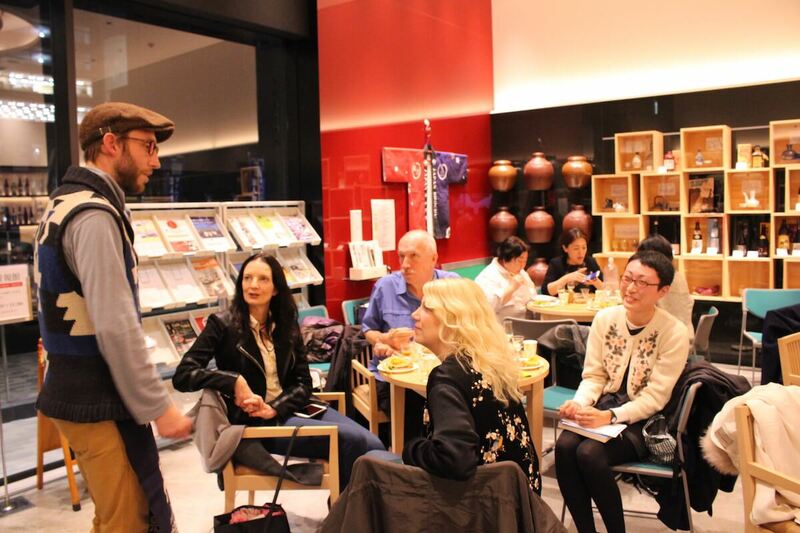 The events are the brainchild of the Sake 2020 project, an initiative setup to promote everything sake, to make it more enjoyable and offer easier access to its profound culture ahead of the Tokyo 2020 Olympics. 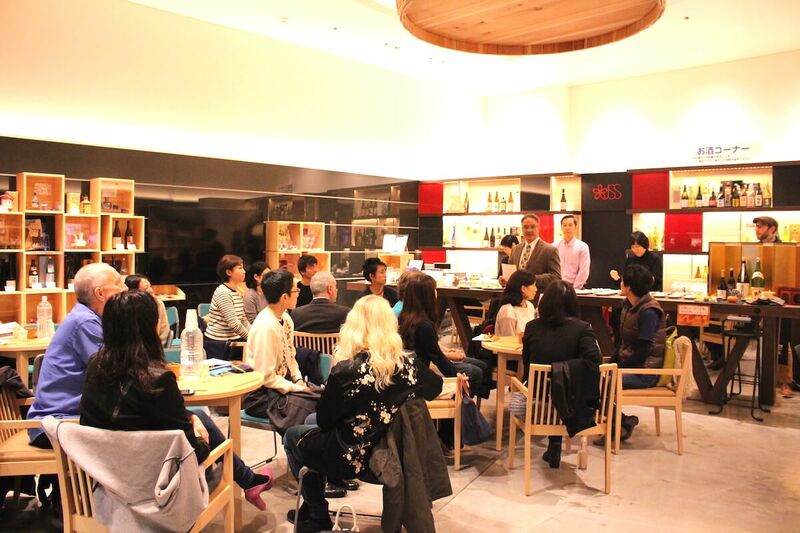 One of the highlights of these events is the venue itself, the newly opened ‘Sake & Shochu Information Centre’, a 360-degree sake experience presented in a stylish, relaxing, museum-like space with a concierge guided tasting menu of 50 sakes. Another definite highlight is the all-star cast of A-lister sake experts and food journalists coordinated by resident sake evangelist John Gauntner and centre manager Shuso Imada. Every month a different brewer is invited to showcase their sakes and shed some light onto the often unseen side of sake production. 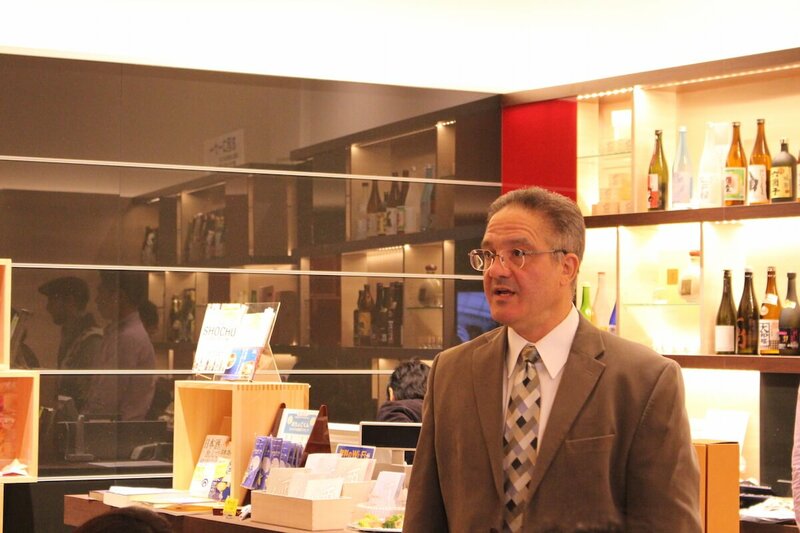 The first Sake Salon held December 1st played host to Kidoizumi Shuzo, represented by 5th generation president and toji (master brewer) Hayato Shoji. He was joined by Justin Potts, U.S.-born Master of Sake currently in the midst of his second winter brewing with the Kidoizumi team, to who he handed the floor. A large part of a brewery’s story is the local region. As Justin so elegantly put it: “breweries don’t live inside a bubble; they are surrounded by a community and culture of creativity that is unique to the region”. Kidoizumi is located on Chiba Prefecture’s Boso Peninsula, just minutes from some of Japan’s premier surfing destinations, and thanks to express train access in terms of travel time, it may very well be closest brewing location to Tokyo Station. The tasting consisted of 6 sakes paired with specialty cheeses crafted by Chiyo Shibata off Fromagerie Sen, the award-winning cheese producer from Kidoizumi’s neighboring town of Otaki. 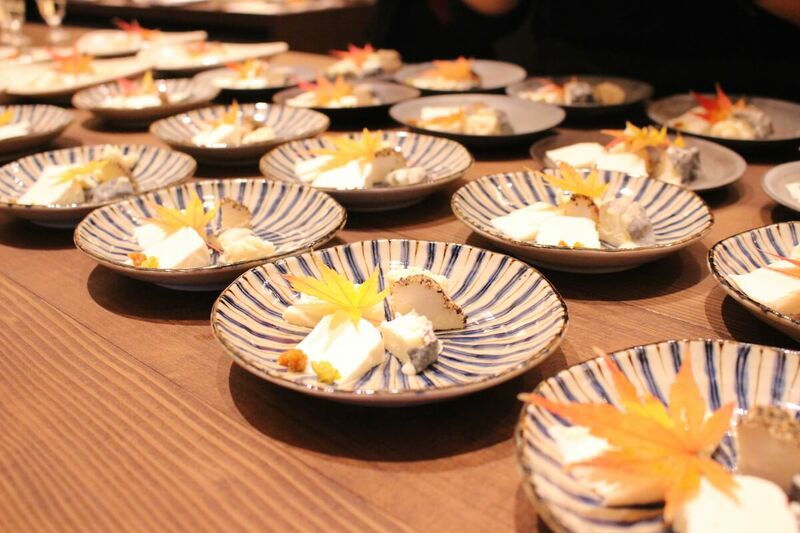 The shokunin level of craft and dedication to local dairy, along with wholly unique offerings (such as cheese integrating koji) make Sen’s cheeses a treat, not to mention a perfect collaboration of food and sake from the region. Think cheese and you might think of pairing with wine, but the savory qualities of sake make it a contender for the crown. 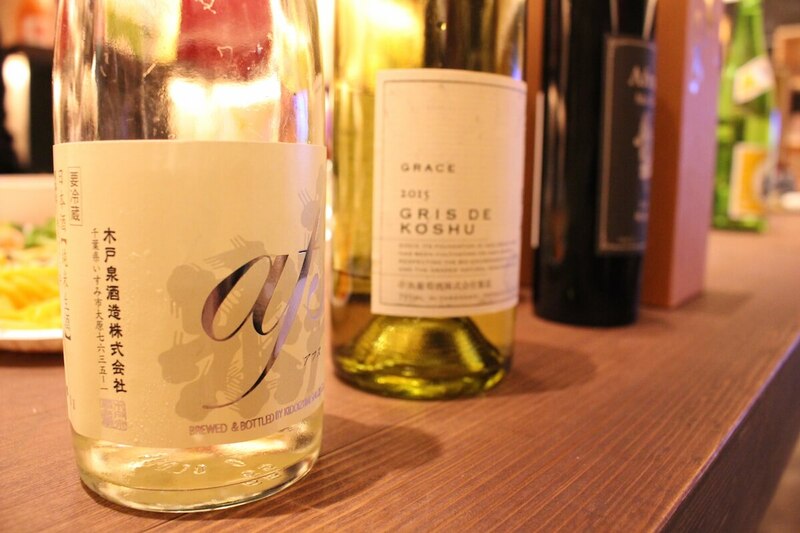 Made apparent with a side by side tasting, the first sake was served alongside a Koshu wine from Yamanashi Prefecture. Served blind, participants struggled to pick the ‘wine’ out of the offering. 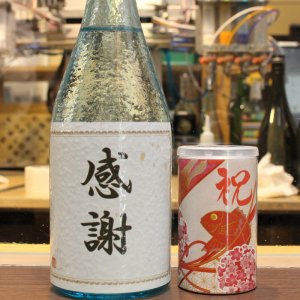 While undeniably sake, the unique wine-like acidity it turns out is the product of a unique process, most readily apparent in Kidoizumi’s AFS line of sake. AFS is an abbreviation of Adachi, Furukawa, Shoji, the three pioneers – one being the president’s grandfather – who, back in postwar Japan when the trend in sake styles was shifting toward clearer, ‘cleaner’ sake, sensing that the Japanese dinner table was about to become more complex, chose a completely different path, returning to the sake-of-old which used to be tangier, more acidic, and pretty funky. 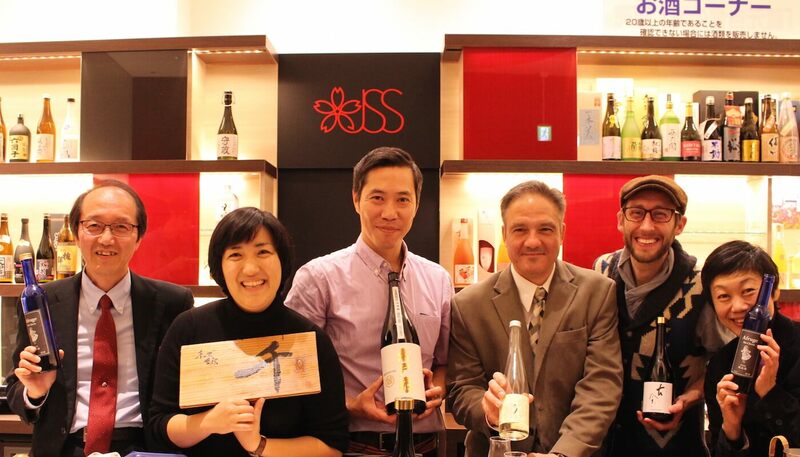 What you have in AFS is “a sake that has a sense of place”; has been on a journey. 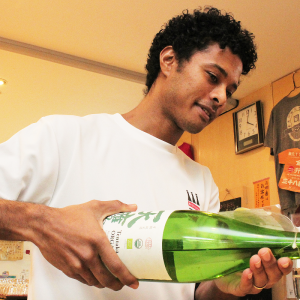 AFS, and all of Kidoizumi’s sake, for that matter, are crafted with what is essentially a traditional Yamahai method, but with a touch of Harry Potter-esque magic. Preparing the shubo (the starter, or mother, for the sake) at an extremely high temperature (55 degrees C), the method flies in the face of standard practice. The result is a sake with far more lactic tones and a very uncanny resemblance to wine. Compared to the citrusy palate of the Koshu, the first sake, AFS was far more acidic, but at the same time savory and somewhat refreshing. This was followed by Daigo, a sake with a much stronger kick to it and spicier notes. 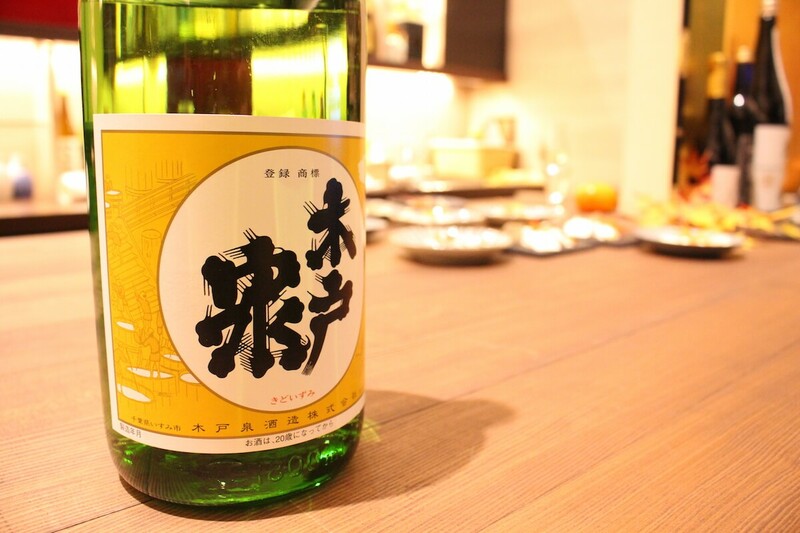 The third sake, Shizen Yamada puts more of a focus on the ingredients, naturally grown Yamada Nishiki grown in Saitama by a renowned natural farmer. David Cheek, an American resident who laments that it was a line in a James Bond novel that pricked his interest about sake — so much that he immediately went out to buy a bottle – explained that he preferred this third sake for its smoother texture. 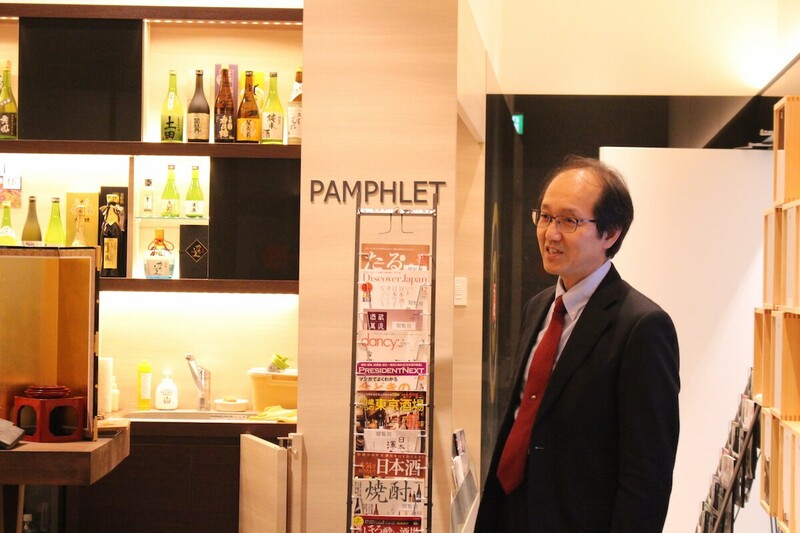 He also pointed out that although he is a big fan of Yamahai he had never tried anything like AFS before. The latter half of the tasting switched to more mature sakes with AFRUGE, an aged version of AFS devised by none other than centre manager Mr. Imada himself — an additional 3 month ageing in Sherry barrels gives it a very distinct chocolate-like mature aroma. This was all topped off with the final sake of the evening, Kokin, a blend of various different vintage sakes. Kokin was much lighter and airier than the previous 4 and made sure the event ended on a high note. Ageing is another big part of Kidoizumi’s brewing. Most of the ageing is done in bottles and Kidoizumi currently has a vintage sake for every year since 1967, which makes a great birthday gift or investment for a new-born child to enjoy when they are older. Who are these events aimed at? 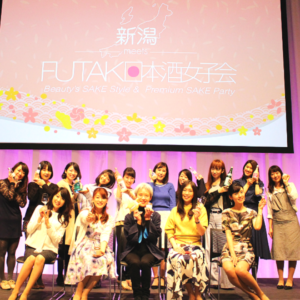 The events are clearly tailored to appeal to a wide range of different interests and background not necessarily limited to sake as clearly reflected in December’s audience. And if you think the stories from the brewer are interesting, just wait until you talk to the other participants. 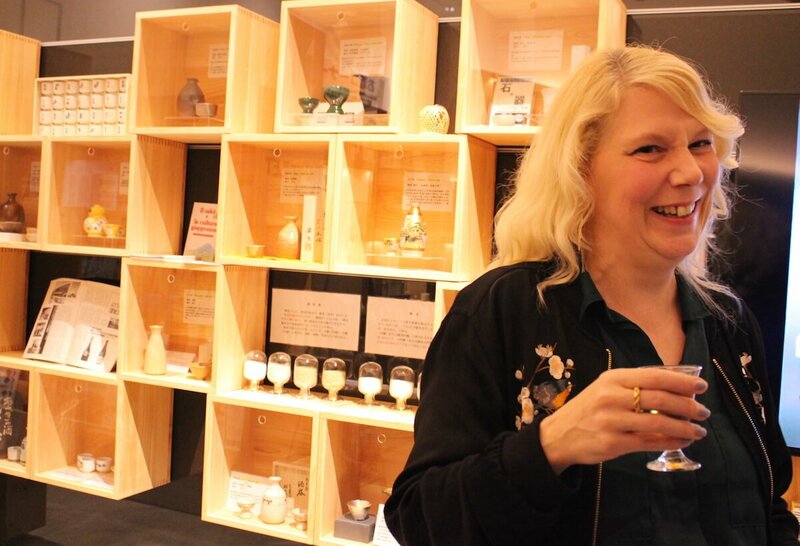 Kelly, a 25 year resident whose first encounter with sake was at a Metalica concert — “it was almost like a revelation” — confessed to having been completely ignorant of Kidoizumi Brewery’s existence despite it being on her doorstep just a 10 minute ride or so away. 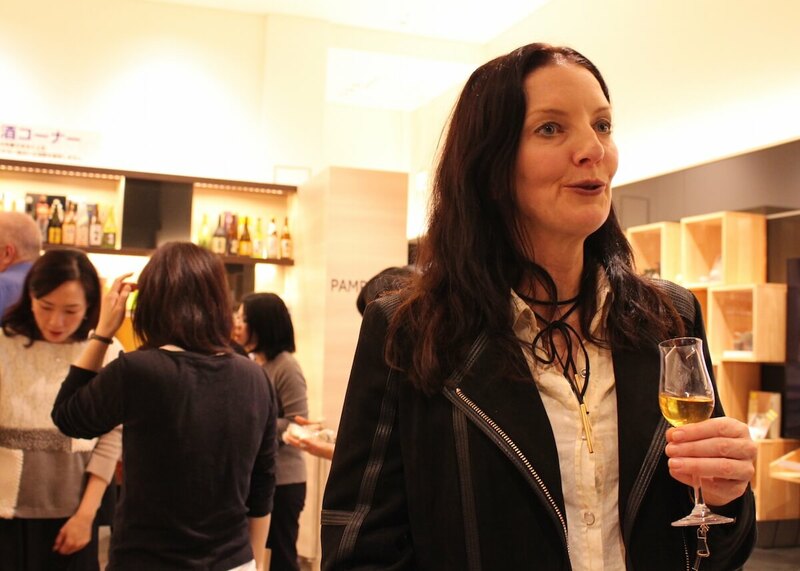 And then there was Kelly’s friend Mairi, who having confessed to still being somewhat of a sake virgin found food for thought in the event and was seriously considering trying to ingregrate sake into the Japan food tours that she runs. A glass of sake always helps conversation to flow and by the end of the night the majority of participants had also made a friend or two beyond their glass of sake. The next sake social is planned for January 19th and will play host to Kanagawa Prefecture’s Izumibashi, another brewery with an exciting story to tell. But hurry because there are only 20 places and they fill up very fast! 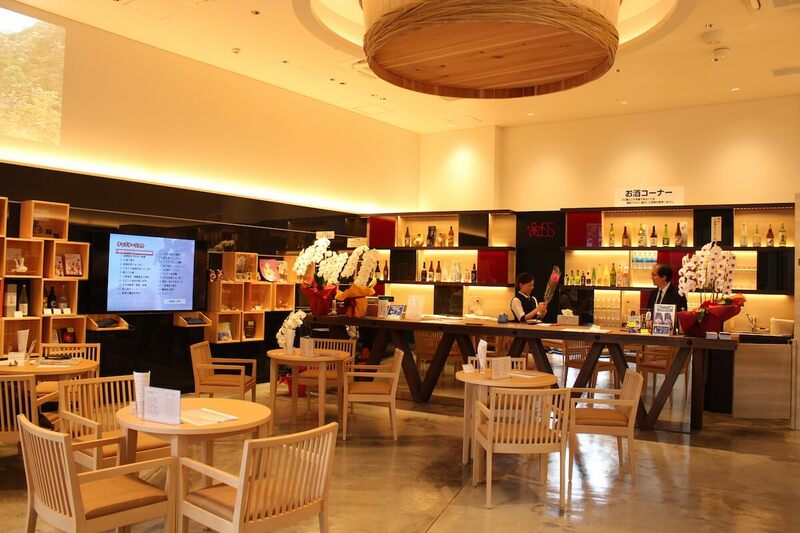 Taste over 50 items of sake, shochu and awamori for 100 yen each (30ml & 60ml servings). Tel: +81-3-3519-2091　* Please call before visiting.